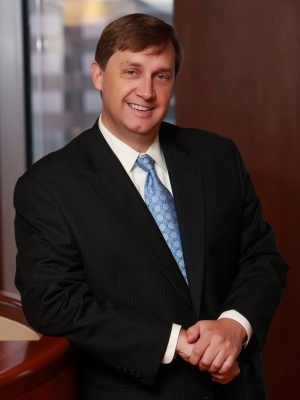 Timothy E. Kastner provides counsel and support to multinational corporations, middle market businesses, and emerging growth companies while focusing his business law practice on mergers and acquisitions, commercial finance, product distribution, and government contracting matters. His diverse transactional practice ranges from advice and counsel on day-to-day general corporate matters to strategic acquisitions, divestitures, and cross-border joint ventures. Tim brings to bear a substantial background as a transactional lawyer serving clients in a broad array of commercial needs and industries including aerospace and defense manufacturers, banks, health care organizations, and wine, spirit, and malt liquor distributors. He provides his clients with technically sound, practical advice informed by awareness of market conditions and best practices. He has extensive experience in structuring, negotiating, and documenting a wide variety of complex business arrangements both in the United States and internationally. As a certified public accountant, Tim is uniquely suited to advise his clients with respect to their business and financial needs. Tim's commercial finance practice includes representation of borrowers, banks, and commercial finance companies in complex financing and restructuring transactions including floorplan financing; subordinated debt; intercreditor matters; syndicated leverage and asset-based lending; and acquisition, construction, and real estate lending. His general corporate practice entails representation of clients in initial formation of their entity, deal structuring, commercial contract negotiation, import/export, and other general corporate matters. He regularly counsels manufacturers and distributors of products in connection with their marketing, licensing, and distribution matters. Experienced in counseling clients in several industries in connection with government contract negotiations and compliance matters, Tim is well-acquainted with the Federal Acquisition Regulations (FAR), the Defense Federal Acquisition Regulation Supplement (DFARS), the International Traffic in Arms Regulations (ITAR), and the Export Administration Regulations (EAR). Tim is AV® Preeminent™ Peer Review Rated by Martindale-Hubbell.